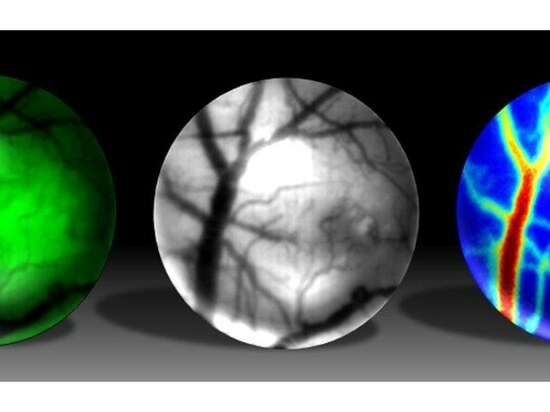 "This technology allows us to record really rich amounts of data on the underlying functions of the brain over the lifetime of a disease model," says Arvind Pathak, Ph.D., associate professor of radiology and biomedical engineering at the Johns Hopkins University School of Medicine, and a member of the Johns Hopkins Kimmel Cancer Center. 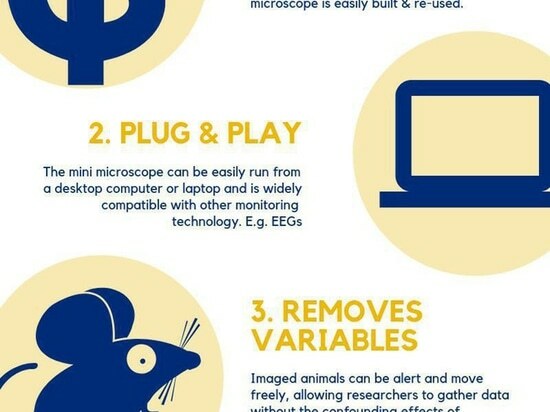 Additionally, the bulky nature of benchtop microscopes requires laboratory animals to be completely still for imaging. This often requires animals be repeatedly anesthetized to get clear images. Anesthetized brains undergo changes unrelated to disease, potentially muddying the waters between real results and the brain's response to the anesthetic drug. The new microscope, which functions like a mini GoPro action camera, is able to capture images in real-time and is fully portable. This eliminates the need to anesthetize animals for imaging, allowing researchers to observe disease changes in a more natural state and relate such changes to the animal's behavior. Pathak and his team built the prototype device using commercially available miniature components, such as LED lights, microscope lenses, image sensors and custom-made 3D printed components. The housing, which docks the microscope onto a mouse's head, is entirely 3D printed and reusable. The whole setup, lead author Janaka Senarathna says, then plugs into a laptop computer where researchers can collect and analyze the images. In a proof-of-concept experiment designed to follow the course of a brain tumor, the research team injected the brains of mice with human brain cancer cells genetically engineered to glow so they can be seen by the microscope. They then mounted the microscope onto the mouse's head, and continuously imaged the mice over 16 days. "We successfully monitored these microscopic changes on a daily basis, which allowed us to watch aspects of the disease in remarkable detail," says Pathak. "This is just one example of the utility of this technology, and one that could someday have an impact on how best to assess response to treatments," says Pathak.